Former Secretary of State Madeleine Albright's moving memoir of her formative years in Czechoslovakia during the tumult of Nazi occupation, fascism, and the onset of the Cold War. USA: Under the Air Corps Act, the US Army Air Service (USAAS) becomes the US Army Air Corps (USAAC). Germany: President Paul von Hindenburg expresses appreciation for Adolf Hitler's decisiveness in executing the measures to put down the putsch by the Nazi Party SA organization before it takes shape. Spain: Day 351 of 985 of the Spanish Civil War. Spain: Day 716 of 985 of the Spanish Civil War. CBI - China: Day 361 of 2,987 of the 2nd Sino-Japanese War. Day 22 of 139 of the Battle of Wuhan. USA: Theodore Roosevelt's head is dedicated at Mount Rushmore. USA: The first World Science Fiction Convention opens in New York City. CBI - China: Day 726 of 2,987 of the 2nd Sino-Japanese War. Day 19 of 68 of the Battle of Tianjin. CBI - Mongolia: Day 53 of 129 of the Battle of Khalkhin Gol, a border dispute between the Soviet Union and Japan. USA: The US Congress passes the Export Control Act, giving the US President the power to control the export of military equipment whenever he thinks it is "necessary in the interest of national defense." UK: The British government cancels the annual August Bank holiday. Atlantic: The British liner ARANDORA STAR, carrying 1,500 German and Italian POWs to Canada, is sunk by U-47 off the west coast of Ireland. ETO - Germany: Germany issues casualty figures for the French campaign as 17,000 killed, with the French losing 1,900,000 men as prisoners. East Africa: Day 23 of 537 of Italy's East African campaign in the lands south of Egypt. CBI - China: Day 1,092 of 2,987 of the 2nd Sino-Japanese War. Day 231 of 381 of the Battle of South Guangxi. Atlantic: While docked at Brest, France, the German battleship PRINZ EUGEN is hit by a bomb during an Allied air raid. ETO - Germany: The RAF night bombs the German cities of Bremen and Cologne. Germany: French Army cavalry officer Lieutenant Pierre Mairesse Lebrun, a POW at Colditz Castle, Germany, captured during the Fall of France, escapes the camp by leaping the wire fence and scaling the outer brick wall. He successfully makes it to Switzerland. Russian Front - Finland: Day 4 of 142 of Operation SILVER FOX, a joint German-Finnish campaign to capture the Russian port of Murmansk in the Arctic. Russian Front - Finland: Day 2 of 140 of Operation ARCTIC FOX, a joint German-Finnish campaign against Soviet Northern Front defenses at Salla, Finland. Russian Front - Finland: Day 11 of 164 of the Battle of Hanko. Russian Front: Day 11 of 167 of Germany's Operation BARBAROSSA, the invasion of the USSR. Russian Front - North: German Panzers break the Stalin line near Ostrov, Russia, just across the Latvian border. Russian Front - North: Urged by the German commander, the local police in Riga, Latvia, murder 400 Jews and burn down all the synagogues. Russian Front - Center: Day 11 of 12 of the Battle of Minsk. German Army Group Centre keeps advancing through Byelorussia. Russian Front - South: Day 1 of 21 of the Battle of Bessarabia, Russia. German and Romanian troops attack at Bessarabia to take the land and city that Romania was forced to cede to the USSR a year ago. Russian Front - South: Riots protesting racist laws break out in German held Lvov, Ukraine. Russian Front - South: German and Romanian troops in Moldavia head off toward Vinnitsa and the Black Sea port of Odessa, Ukraine. MTO - Libya: Day 84 of 256 of the Siege of Tobruk. Middle East: Day 25 of 37 of the Battle for Syria and Lebanon. East Africa: Day 388 of 537 of Italy's East African campaign in the lands south of Egypt. PTO - Japan: The Japanese Army orders a conscription for another one million men. CBI - China: Day 1,457 of 2,987 of the 2nd Sino-Japanese War. China breaks off their diplomatic relations with Germany and Italy. USA: The New York Times reports via the London Daily Telegraph that over 1,000,000 Jews have already been killed by the Nazis. UK: Churchill easily survives a "no confidence" vote in the House of Commons by a margin of 475 votes in his favor to 25 against. Atlantic: Day 6 of 14 of Germany's Hunt for Allied Convoy PQ-17. During this hunt, U-boats and the Luftwaffe will sink 24 merchant ships. ETO - Netherlands: The US 8th Air Force makes its bombing debut with six crews flying RAF-owned American-built Bostons on a joint US-RAF low-level attack on airfields in the Netherlands. Germany: A group of Jews from Berlin are sent to Theresienstadt concentration camp. Russian Front - North: Day 298 of 872 of the Siege of Leningrad. Russian Front - North: Day 59 of 658 of the Siege of the Kholm Pocket. Russian Front - Center: Day 1 of 22 of Germany's Operation SEYDLITZ, a plan to trap and capture numerous Soviet troops. Russian Front - South: Day 246 of 248 of the Siege of Sevastopol, Crimean Peninsula. German troops keep pressing a heavy assault. Russian Front - South: Day 5 of 27 of the Battle of Voronezh, Russia. German troops surround the Soviets near Stary Oskol, Russia, forcing the Soviets to retreat across the Don River. Russian Front - South: Day 5 of 150 of Germany's CASE BLUE, the failed offensive to take the Caucasus oil fields. MTO - Egypt: Day 2 of 27 of the 1st Battle of El Alamein. The British manage to hold off the heavy attacks. Rommel is down to just 26 tanks and will have to wait for other tanks to be brought up. Mussolini cables Hitler in regards to the future administration of Egypt, in which he recommends Erwin Rommel to be the military governor and a yet-unnamed Italian as the chief civilian administrator. MTO - Libya: US B-17s and B-24s bomb the supply dumps in Tobruk after nightfall. East Africa: Day 59 of 186 of the Battle of Madagascar. CBI - China: Day 1,822 of 2,987 of the 2nd Sino-Japanese War. Day 49 of 124 of Japan's Zhejiang-Jiangxi Campaign, launched to punish anyone suspected of aiding the Doolittle raiders in China. Roughly 250,000 Chinese will be killed. US 10th Air Force bombs the docks at Hankow for the second consecutive day. The Japanese retaliate during the night by attacking Hengyang, but fail to hit the airfield. PTO - Alaska: Day 26 of 435 of the Battle of Kiska, Aleutian Islands. US 11th Air Force bombs targets at Attu Island, which appears to be deserted, and on Kiska and Agattu Islands. PTO - Malaya: Day 134 of 357 of the Battle of Timor Island. PTO - New Guinea: US 5th Air Force bombs at Lae. 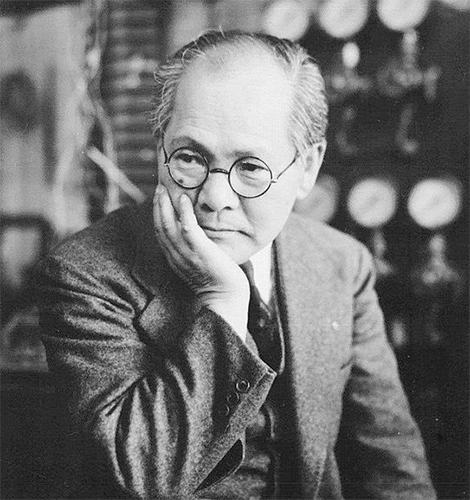 PTO: Japanese physicist Yoshio Nishina meets with his army liaison officer Major General Nobuji and reports that he expects to be successful with his nuclear research project. He notes that aside from needing 10 kilograms of uranium-235 to create an atomic bomb, he needs a large cyclotron to conduct experiments to confirm his theories. Like the German nuclear weapons program, Japan's effort to produce an atomic bomb suffered from an array of problems and was ultimately unable to progress beyond the laboratory stage before the war came to an end, ironically through the dropping of American-developed atomic bombs. Russian Front - North: Day 663 of 872 of the Siege of Leningrad. Russian Front - North: Day 424 of 658 of the Siege of the Kholm Pocket. MTO - Greece: Greek guerrilla fighters are placed under direct operational control of Allied Middle Eastern Command. MTO - Italy: US 9th and 12th Air Forces bombs several airfields in southern Italy. MTO - Italy: US 12th Air Force RAF Wellingtons night bomb at Palermo and Cagliari in Sicily. CBI - China: Day 2,187 of 2,987 of the 2nd Sino-Japanese War. The USS FLYING FISH sinks a Japanese cargo ship off Formosa (Taiwan). PTO: Day 37 of 47 adrift in a raft for the survivors of B-24 GREEN HORNET that crashed 850 miles from Hawaii. PTO - Alaska: Day 391 of 435 of the Battle of Kiska, Aleutian Islands. US 11th Air Force bombs targets on Kiska and Segula Islands. PTO - New Guinea: Day 72 of 148 of the 2nd Battle of Lae-Salamaua. US 5th and 13th Air Forces provide air support. PTO - Solomon Islands: Day 13 of 67 of the Battle of New Georgia. US 5th and 13th Air Forces provide air support. US troops begin moving from Rendova to the Munda Airfield. US troops make contact with the Australians north of the bay. Japanese bombers try to interfere by attacking supply dumps on Rendova, causing heavy casualties. Atlantic: The US coastal minesweeper YMS-350 strikes a mine and sinks off Utah Beach in Normandy, France. Atlantic: A TBM Avenger aircraft from the USS WAKE ISLAND sinks the German sub U-543 between the Canary and Cape Verde Islands. ETO - UK: Day 20 of 86 of the V-1 "Buzz Bomb" offensive on Britain. ETO - France: Day 27 of 49 of Operation OVERLORD, the Allied invasion of Normandy, France, known forever simply as D-Day. D-Day+26: Allied Air Forces provide air support. ETO - France: Day 27 of 62 of the Battle of Caen. ETO - France: US 8th Air Force bombs V-weapon rocket sites in the Pas de Calais area. Russian Front - Finland: Day 8 of 15 of the Battle of Tali-Ihantala. This becomes the largest battle in Scandinavian history. Russian Front - Finland: Day 12 of 50 of the Battle of Karelia. Soviet troops continue their offensive against the Finns in eastern Karelia between Lake Ladoga and Lake Onega in northern Russia. Russian Front - North: Day 152 of 191 of the Battle of the Narva Isthmus, Estonia. Both German and Soviet troops remain locked in their defensive positions. MTO: US 15th Air Force bomb targets in Hungary and Yugoslavia. MTO - Italy: Day 17 of 34 of the Battle of Ancona (north of Rome). Allied Air Forces provide air support. German troops evacuate Siena, 30 miles south of Florence. CBI - Burma: Day 120 of 166 of the UK's Operation THURSDAY. CBI - Burma: Day 115 of 147 of the Battle of Myitkyina. US 10th Air Force provides air support. CBI - Burma: Day 93 of 302 of the Chinese Salween Offensive. US 14th Air Force provides air support. CBI - China: Day 2,553 of 2,987 of the 2nd Sino-Japanese War. Day 77 of 259 of Japan's Operation ICHI-GO. Day 11 of 48 of the Battle of Hengyang. US 14th Air Force provides air support. CBI - India: Day 117 of 118 of the Battle of Imphal-Kohima. The encircled Japanese troops are forced to surrender. PTO - Dutch New Guinea: Day 1 of 61 of the Battle of Noemfoor. US and Australian troops land unopposed and capture the Kamiri Airfield. PTO - Mariana Islands: Day 18 of 25 of the Battle of Saipan. US 7th Air Force provides air support. PTO - New Guinea: Day 37 of 83 of the Battle of Biak. There are still 3,000 Japanese soldiers on the island who won't give up. PTO - New Guinea: Day 201 of 597 of the Battle of New Britain. US 13th Air Force provides air support. PTO - New Guinea: Day 72 of 481 of the Battle of Western New Guinea. 5th Air Force provides air support. PTO - New Guinea: Day 19 of 80 of the Battle of Lone Tree Hill. PTO - Solomon Islands: Day 245 of 295 of the Battle of the Bougainville Islands. US 13th Air Force provides air support. CBI - Burma: The British capture secret documents concerning a planned breakout of Honda's 33rd Army. CBI - China: Day 2,918 of 2,987 of the 2nd Sino-Japanese War. PTO: The US sub USS TRENCHANT sinks a Hagura Class Japanese cruiser in the southwest Pacific. PTO - Borneo: Day 23 of 67 of the Battle of North Borneo. US 5th and 13th Air Forces provide air support. PTO - Dutch East Indies: Day 2 of 21 of the 2nd Battle of Balikpapan. Australian troops capture Balikpapan and its oil installations. PTO - Japan: Okinawa is declared secure. PTO - Japan: US 20th Air Force B-29s night bomb an oil refinery at Minoshima. PTO - New Guinea: Day 553 of 597 of the Battle of New Britain. US 10th Air Force provides air support. PTO - New Guinea: Day 437 of 481 of the Battle of Western New Guinea. US 10th Air Force provides air support. PTO - Philippines: Day 255 of 299 of the 2nd Battle of the Philippines, aka the Liberation of the Philippines or the Philippines Campaign. PTO - Philippines: Day 200 of 244 of the Battle of Luzon. The battle is said to over but hold-outs will continue fighting for a couple of more months. PTO - Philippines: Day 115 of 159 of the Battle of Mindanao Island. The battle is said to over but hold-outs will continue fighting for a couple of more months. PTO - Philippines: Day 107 of 135 of the Battle of the Visayas region. The battle is said to over but hold-outs will continue fighting for a couple of more months. Japan's failure to keep pace with Allied scientific and technological advancement ultimately led to its defeat in World War II, ironically through the dropping of American-developed atomic bombs. An in-depth look at hundreds of those common expressions in their many forms — where they came from, what they mean, how they've evolved over time, and their prominence in today's society.